Elevating SSD cooling and premium sound lets the ROG Strix X470-I Gaming transcend Mini-ITX. 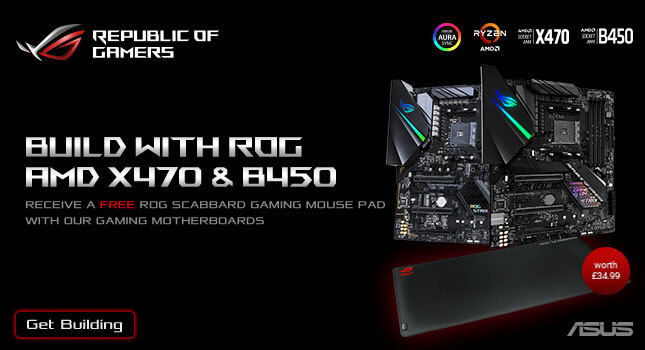 Infused with all the essential ROG engineering ready for you to create a gaming rig that rivals anything built around a bigger board. Push performance to the limits with 5-Way optimization, and up the aesthetic ante with Aura Sync illumination. Go compact without compromise with ROG Strix X470-I Gaming and dominate your game! The distinctive sleek cuts across the ROG Strix heatsink are now accented with a futuristic cyber-text pattern, fusing multiple gaming cultures to create a unique identity for this generation. But it's not all about arresting looks: the all-new ROG Strix motherboards exude material excellence, with a high-quality metal heatsink that adds a satisfying premium touch. *The M.2_2 slot shares with PCIE x16. When M.2_2 slot runs in PCIE mode, the PCIE x16 slot will run at x8 mode. **The M.2_2 slot shares with PCIE x16. When M.2_2 slot runs in PCIE mode, the PCIE x16 slot will be disable.